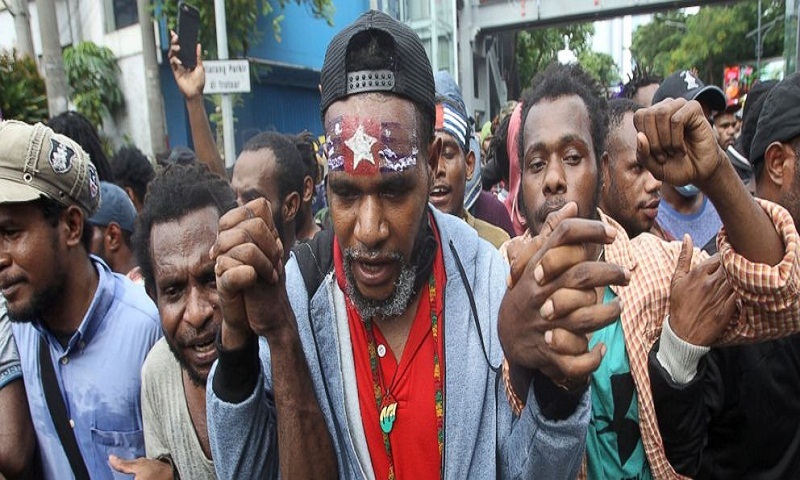 About 300 West Papuans have faced off with counterprotesters in Indonesia's second largest city in a rally calling for the restive region's independence. The rally was organized by the Papua Students Alliance. The demonstrators chanted "Freedom Papua" in Surabaya city to mark Dec. 1, which many West Papuans consider as the anniversary of what should have been their independence. The crowd, many of whom wearing headbands of a separatist flag, was blocked from marching to the city center by scores of counterprotesters from several youth organizations. They confronted the pro-independence protesters with sharpened bamboos. Several hundred members of anti-riot police prevented the two rival groups from clashing. The protest ended after about two hours.